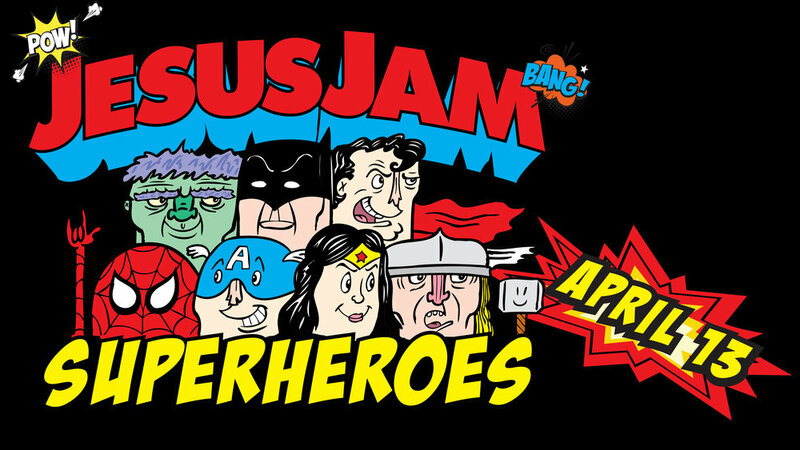 Jesus Jam is an evening of dining and dancing for our friends with disabilites and this year’s theme is Superheroes! This is one of our favorite nights of the year! If you would like to attend or know someone with disabilities who would like to, just show up! Our theme is Superheroes so feel free to dress as your favorite! We will eat dinner from 6:00-7:00 PM and then we will dance, watch movies, and play games from 6:30-9:00 PM. dancing the night away with our friends. 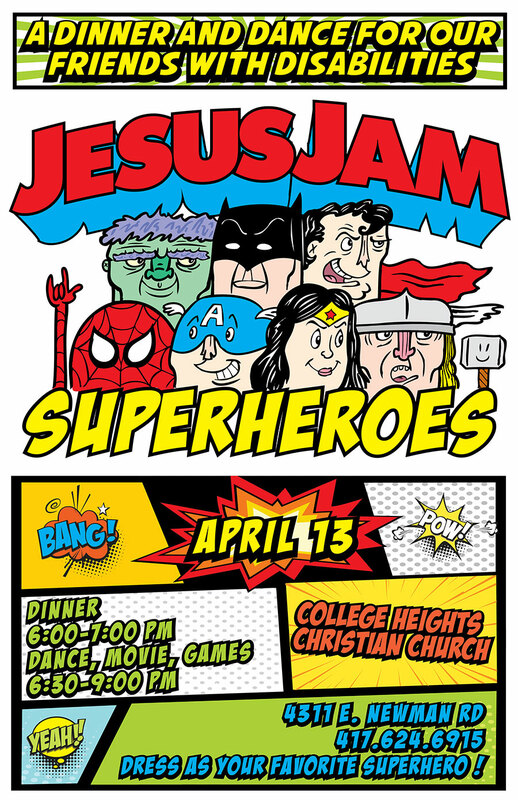 To volunteer, sign up at tinyurl.com/JesusJam2018 or the Sign Up Counter in the Atrium. There will be a volunteer training on Sunday, April 8 at College Heights in the Gym.